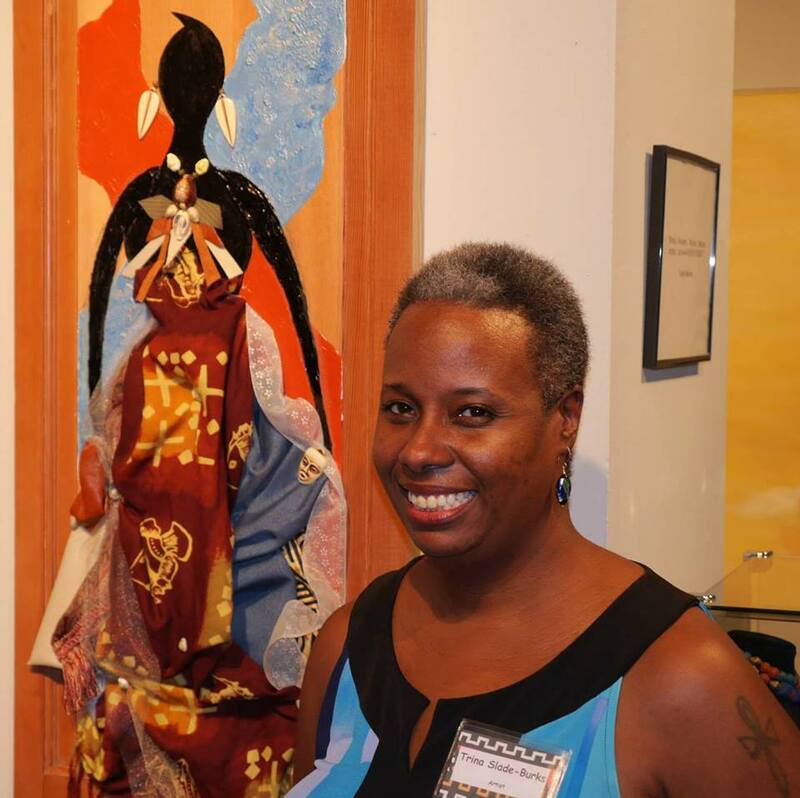 Trina Slade-Burks has been curating art shows alongside her husband Anthony Burks Sr. for close to a decade. While her focus previously has been the creativity of others, it is time to celebrate a SOLO Exhibit of her own artistry! Already on display, “Women Unite” runs through May 28th. 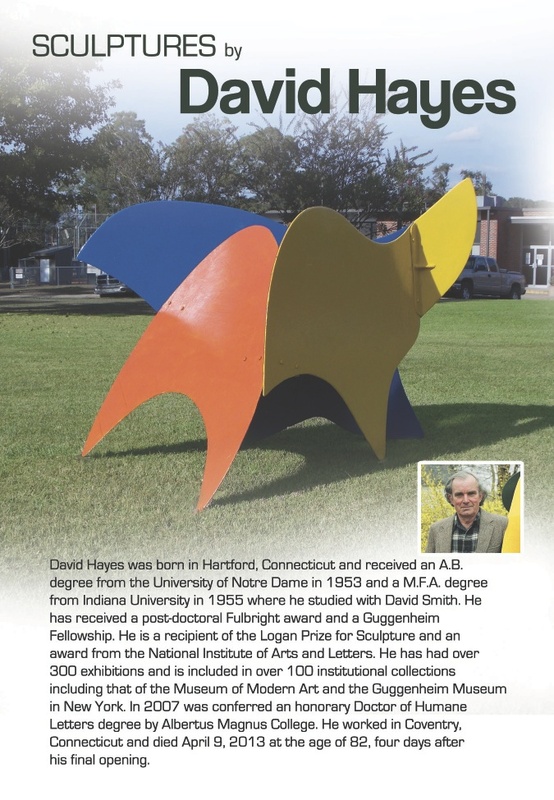 There will be a public reception on Saturday, May 24th, so check it out at Harold’s Coffee Lounge. The Rickie Report shares the details and a sneak peek. *There will be light refreshments (samples from Trina’s up-coming 2nd cookbook), however please support the venue by purchasing coffee, tea, and other things that Harold’s provide. 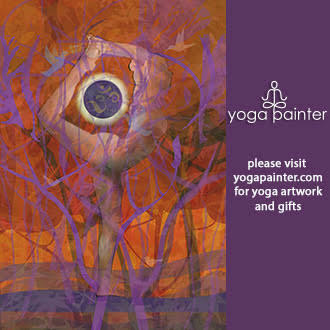 The mission is to support local arts and local businesses. Trina Slade-Burks has been curating art shows alongside her husband Anthony Burks Sr. for close to a decade. 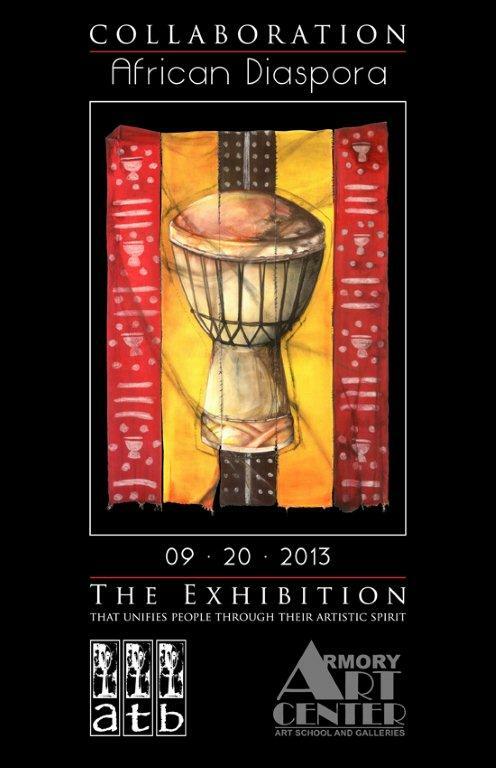 Some of the exhibitions’ include Collaboration: The Florida Endangered Species Exhibition at the Paul Fisher Gallery, Collaboration: African Diaspora Exhibition at the Armory Art Center, CONTINUUM in the Downtown District of West Palm Beach under the direction of ArtSynergy and co-curated BACKGROUND: Cultural Inspiration in Contemporary Art at ArtHouse 429 Gallery. Trina has also self-published 5 books since 2009 with a new cookbook due to be launched the winter of 2014. Though Trina has exhibited in collaborative shows in the past, she has never had a SOLO exhibition. This show, Women Unite” is a tribute to women empowerment. Born in Harlem, NY. , raised in Marble Hill Projects in the Bronx, Trina Slade-Burks is from an artistic lineage. Her multimedia influences have included creative writing, visual arts, music and theatrical arts disciplines. After graduating from college in Fort Lauderdale with a degree in Visual Communications in the late 80’s, Trina felt the strong need to work creatively. She moved back to New York City and re-exposed herself to the creative flow she was longing for. Trina later married a fellow artist Anthony Burks and together they have journeyed on to the next level of exposing people to what makes the world a better place: ART. In 1993 Trina and Anthony created A.T.B. Fine Artists & Designers (formerly A.T.B Graphic Designers); offering image-building and branding for artists and companies. 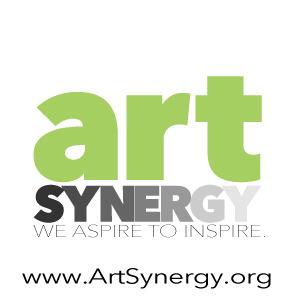 They also connect artists to clients and act as mentors to young artists by offering training for the professional art world. In 2009 their company was registered as an LLC in West Palm Beach, FL. With artists Barbara Cheives & Lea Jefferson, Trina and Anthony created and launched a traveling art exhibition called “Collaboration” in 2007 which showcases art of different disciplines in alternative spaces. “Collaboration” is a new concept in art presentation. Being in homes or businesses, allows artwork to be viewed by clients in a more realistic environment rather than a gallery or museum. It gives the artists an opportunity to interact with buyers on a one-to-one basis and develop a personal relationship without a third party facilitator. Besides nurturing other innovative souls the couple is raising their two sons Anthony Jr. and Raymond who are equally as artistic as their parents. 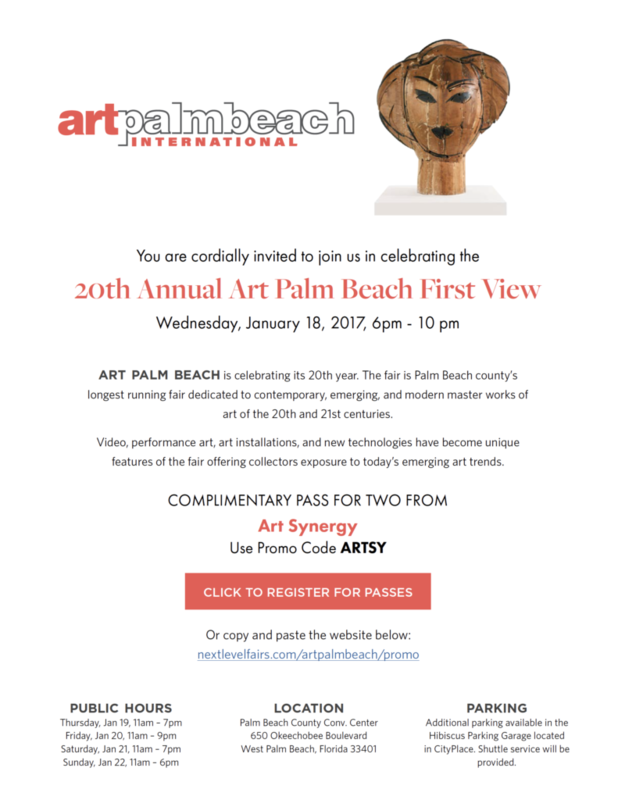 Trina has been a major player in the development of art and culture for programs in Palm Beach County, FL. Her groundbreaking projects focus on the goal of developing the artistic souls of youth and adults alike, through creativity. Trina published her first book, ” What is My Priority?” in June 2009 which is a collaborative of poetry, affirmations & art. She previously wrote articles, interviews and acted as the ghostwriter for the blog “Afro Boy” (with musician/writer Alexie F formerly of online hip-hop radio show The Zro Hour both found on Blogspot.com.) The collaboration ended in February 2014. 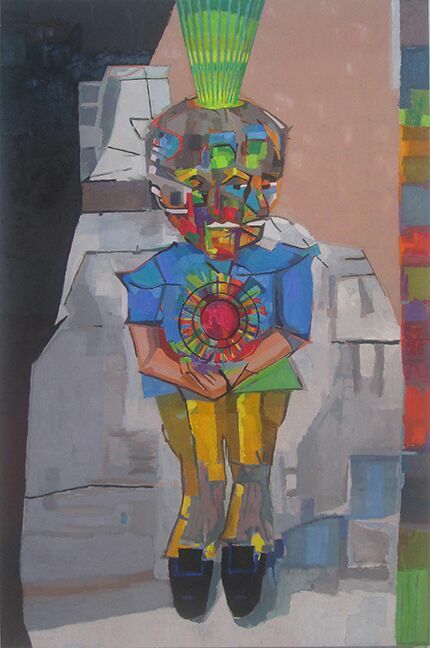 This art educator and art activist has also worked for a number of art programs and organizations including the Center for Creative Education and The Armory Art Center. In 2010 Trina, self published her second book, ” 2Faced: The Devil’s Advocate”, referencing her traits as a true Gemini; playing the devil’s advocate in life. In November 2011, she self-published her 4th book which is her first cook book. It is a mixture of friends’ and family recipes called “Soul Much More from Scratch”. It contains recipes from her childhood memories as well as recipes created by Trina in her adulthood. 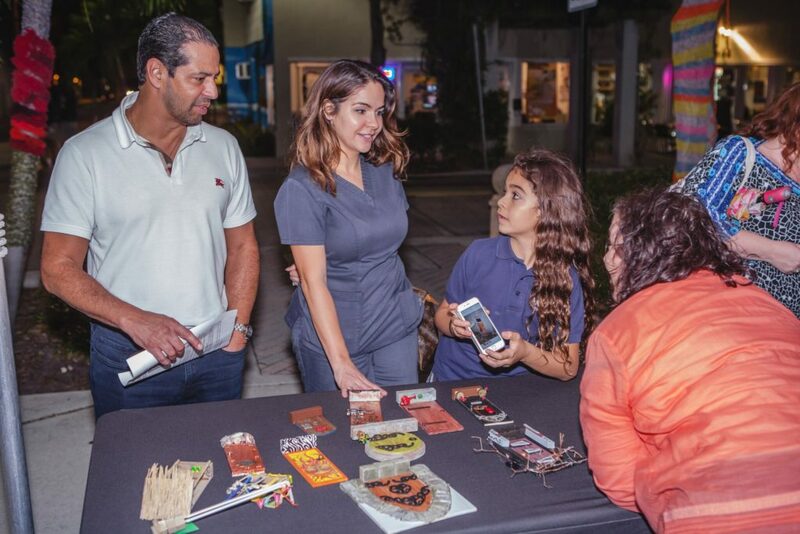 In March 2012, Trina & Anthony curated an art event called “Endangered Florida Species Art Exhibition”. 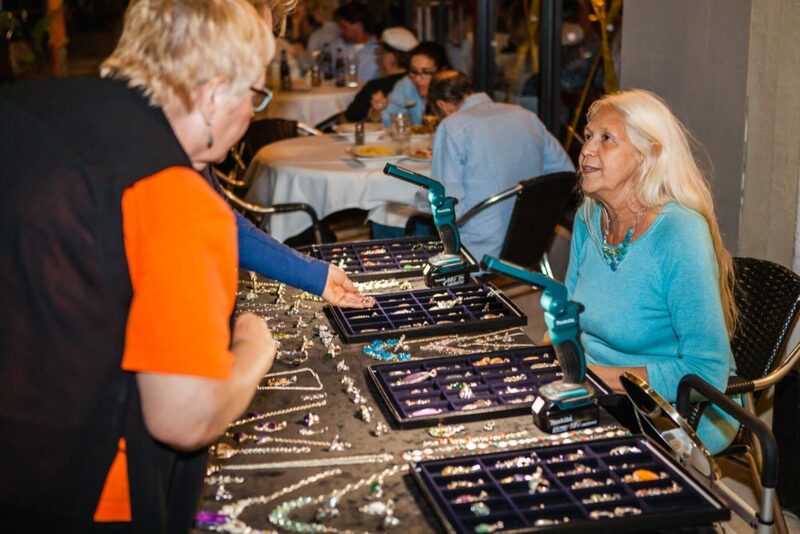 The event benefited Florida Environmental charities. (Loggerhead Marine, Busch Wildlife & the Arthur R Marshall Foundation). 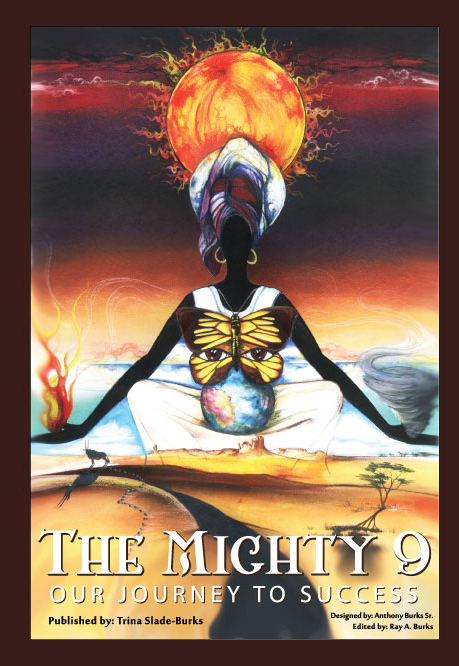 The next year, Trina co-curated “Collaboration: African Diaspora Exhibition” and published the collaborative book, ” The Mighty 9″ at the Armory Art Center. This show broke the record for the largest attended opening exhibit at the Armory to date. At the same time, Trina was honored by the Delta Heritage Foundation, in partnership with the Delta Sigma Theta Sorority as a 2013 Woman Of Excellence at the Palm Beach County Convention Center. It was a celebration of Trina’s ongoing contributions to the arts community. The featured speaker was Dr. Bernice A. King, daughter of the late Dr. Martin Luther King, Jr. and Coretta Scott King. January 2014, in partnership with Craig McInnis, ArtSynergy & ArtPalmBeach and with sponsorship of Downtown Development Authority of West Palm Beach, Trina’s company A.T.B. managed “CONTINUUM”, the downtown West Palm Beach popup art fair during ArtPalmBeach Weekend.